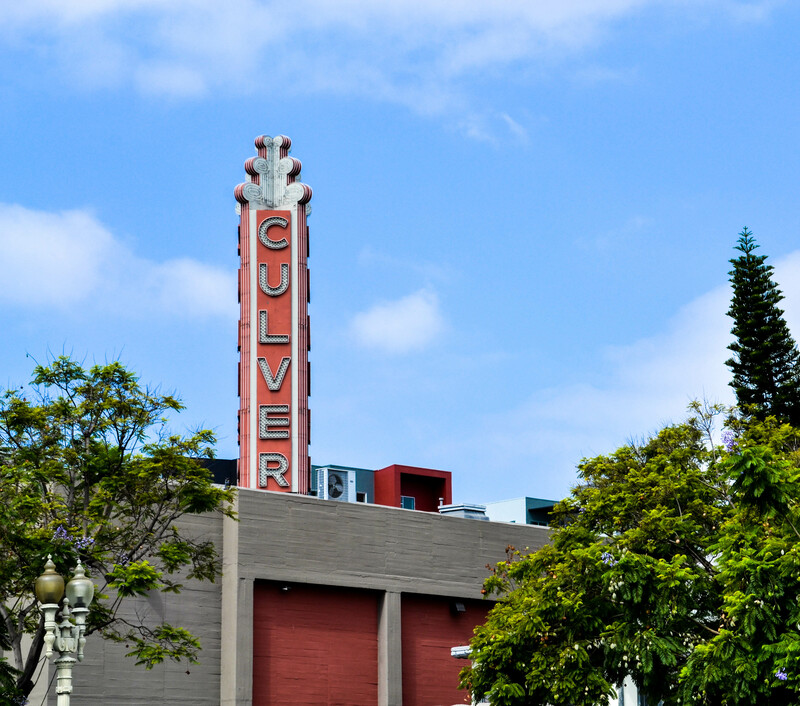 With all the Academy Award hullabaloo this week, you may not have associated the honored movies with Culver City. You probably think of Hollywood as the home of all the movies. 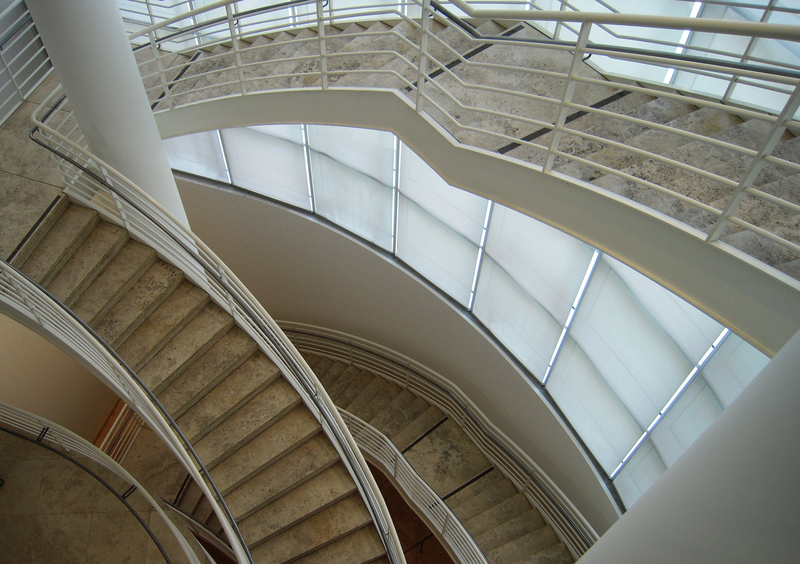 But Culver City, just a few miles away, is a small town that holds a surprising history of the silver screen as well. 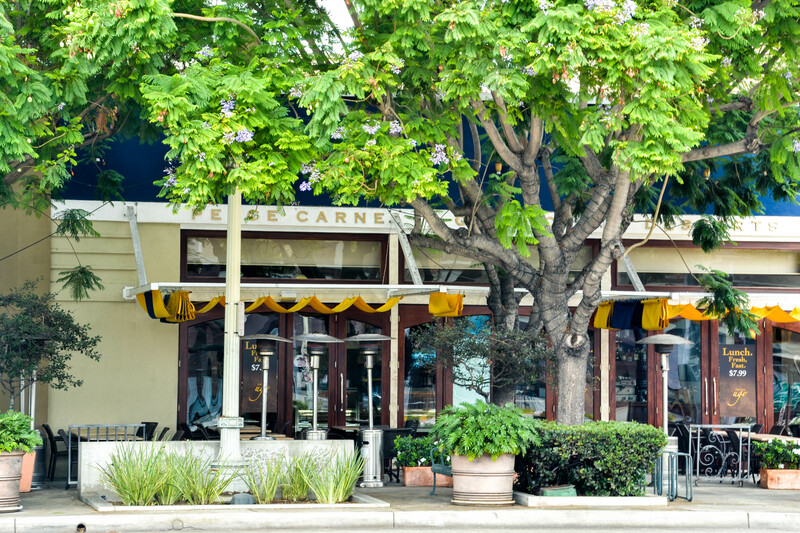 With its recently renovated downtown, it’s a place where you can enjoy breakfast at a sidewalk café, stroll along, and visit the historic Culver Hotel. 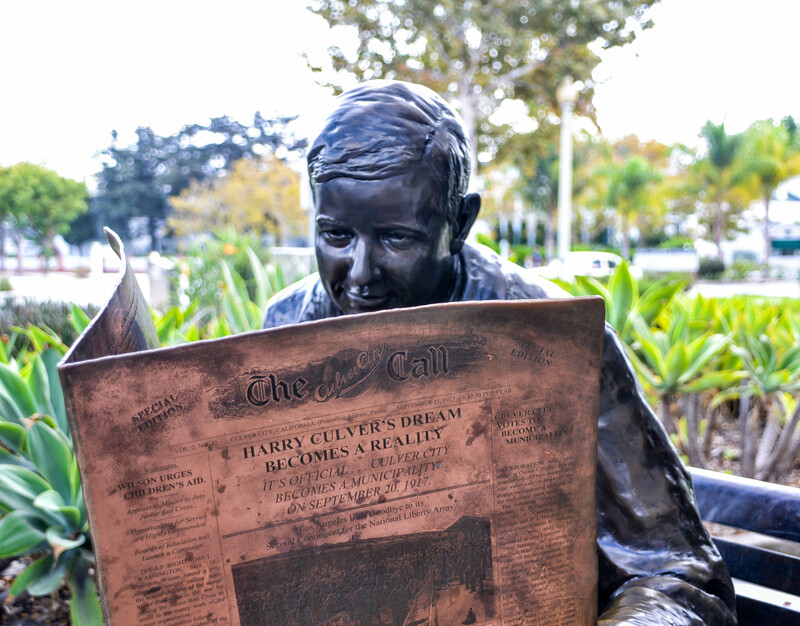 Founded in 1924, Culver City calls itself The Heart of Screenland. It was home to Goldwyn Studios, Cecil deMille Studios, and MGM studios in the early 1900s. Later the Desilu Productions studio in Hollywood opened a branch here. 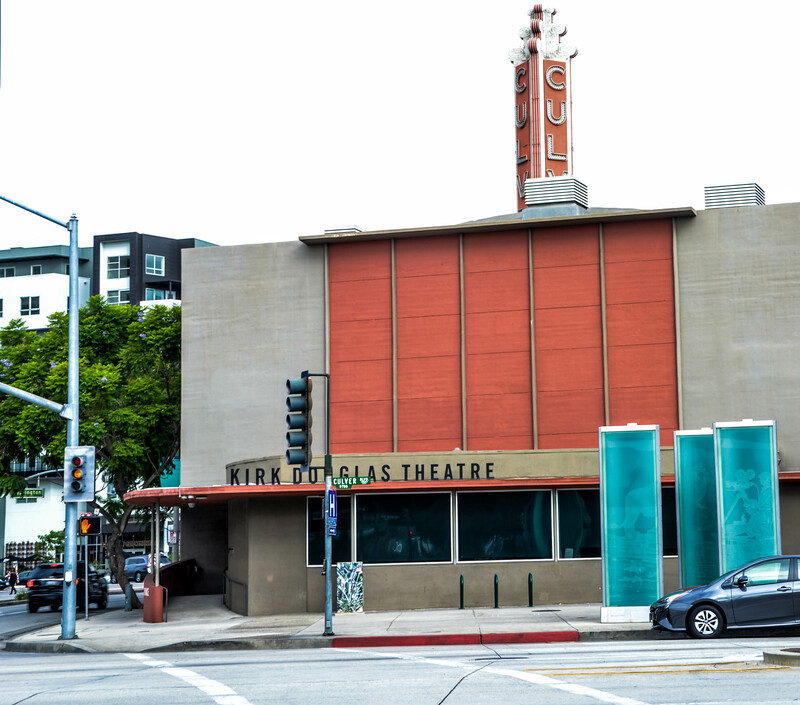 The Wizard of Oz (MGM) and Gone With The Wind (Selznick International) both came out of Culver City. The industry heritage shows up as you walk around the welcoming downtown. The Kirk Douglas Theater is open for business. And, oh hi, Luci and Ricky! 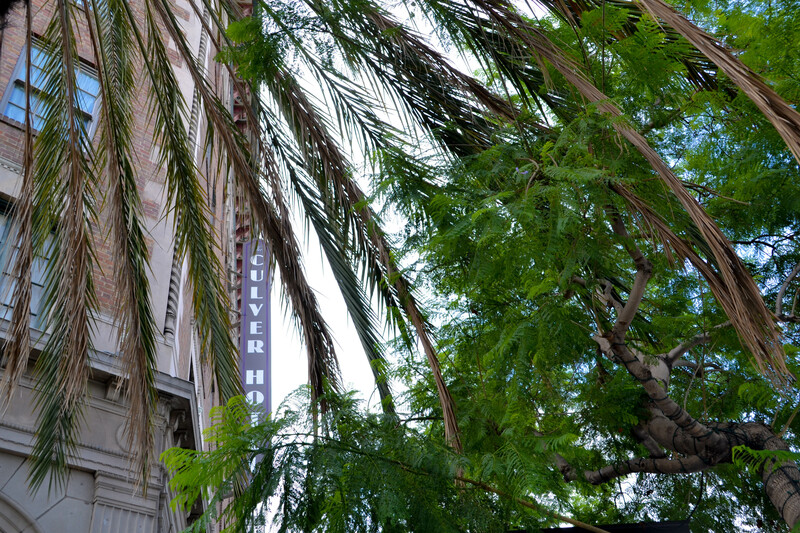 The centerpiece of downtown is the Culver Hotel, opened in 1924 by city founder Harry Culver. 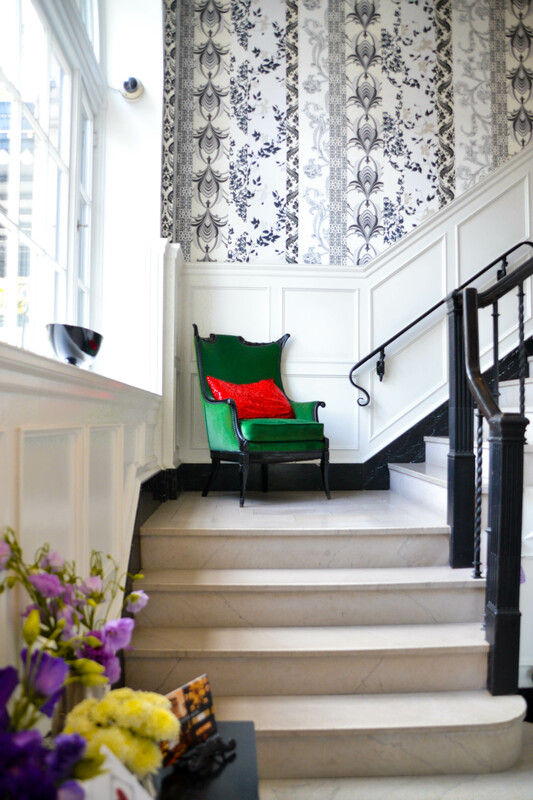 At almost a century old, this iconic hotel maintains its elegance. 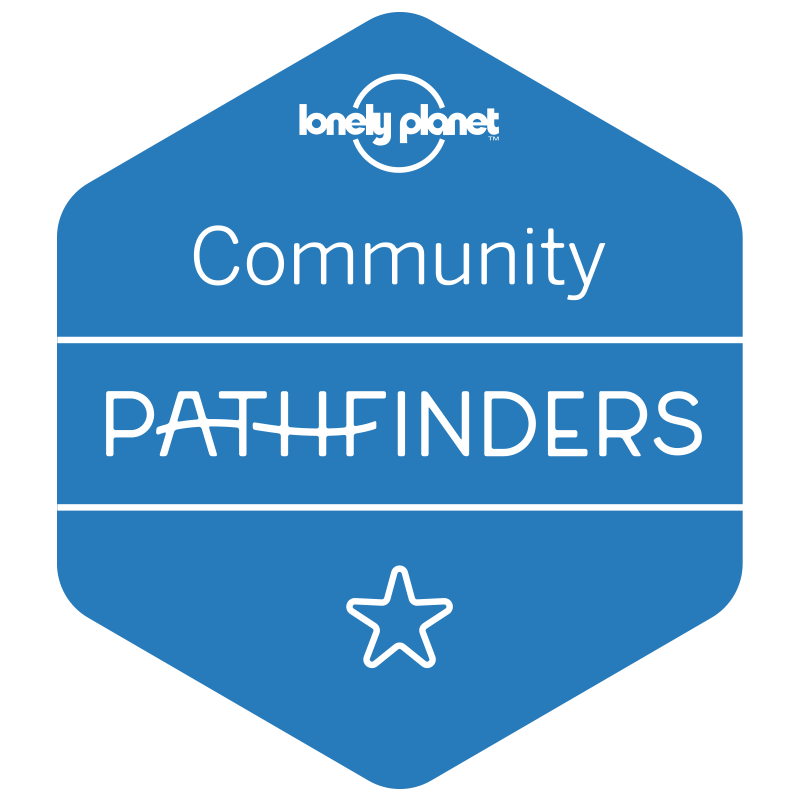 You can almost hear echoes of the stars and dignitaries who have visited. 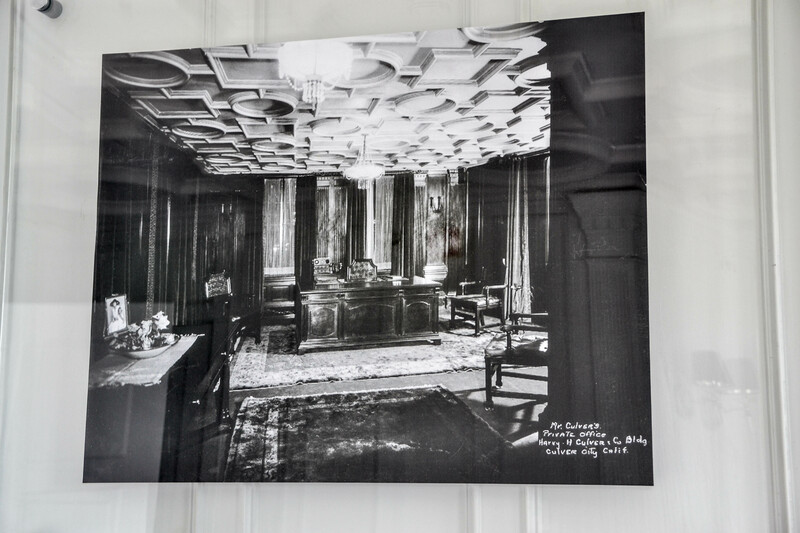 During the 1920s, with prohibition in place, the lounges and “secret” rooms of the hotel surely saw a lot of partying. 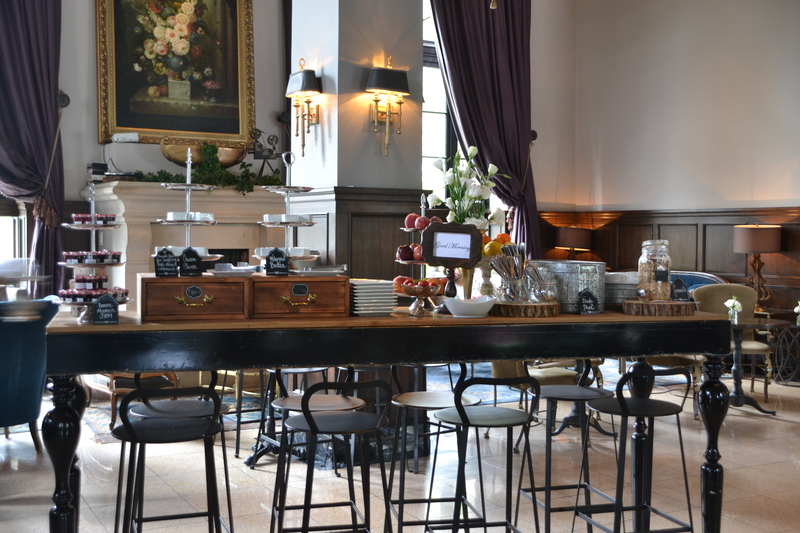 Today, events such as wedding receptions take place regularly in this beautiful setting. 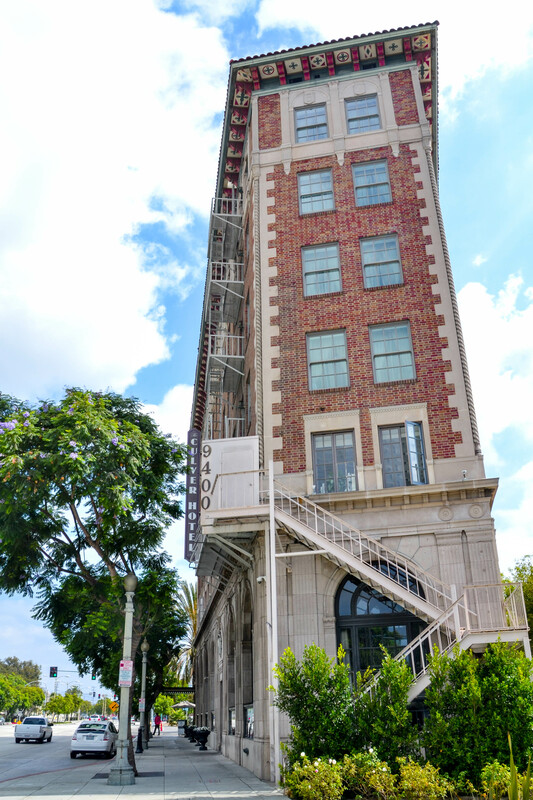 “City packed with visitors for opening of Culver Skyscraper” were the headlines in the Culver City Daily News when the hotel opened. This is amusing now, but the hotel is certainly tall and thin, though we now are used to buildings much taller. 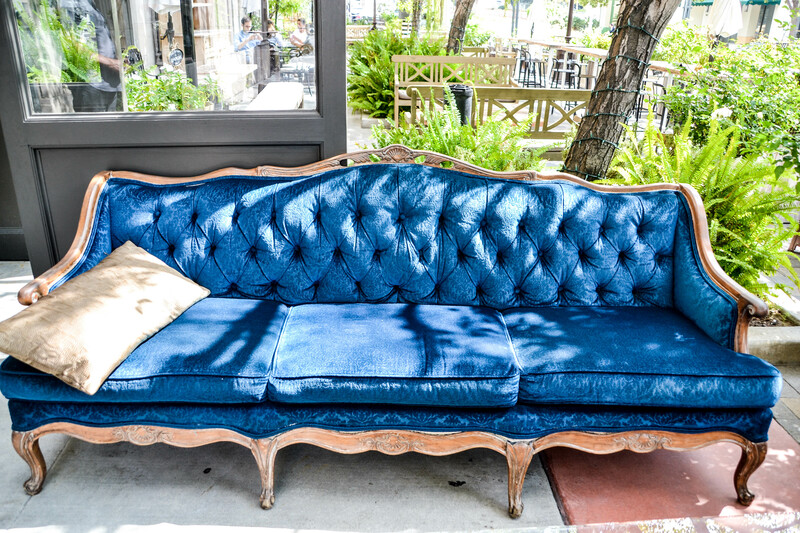 As we were leaving, we walked by the patio café and found this blue velvet sofa. Glamourous, don’t you think? 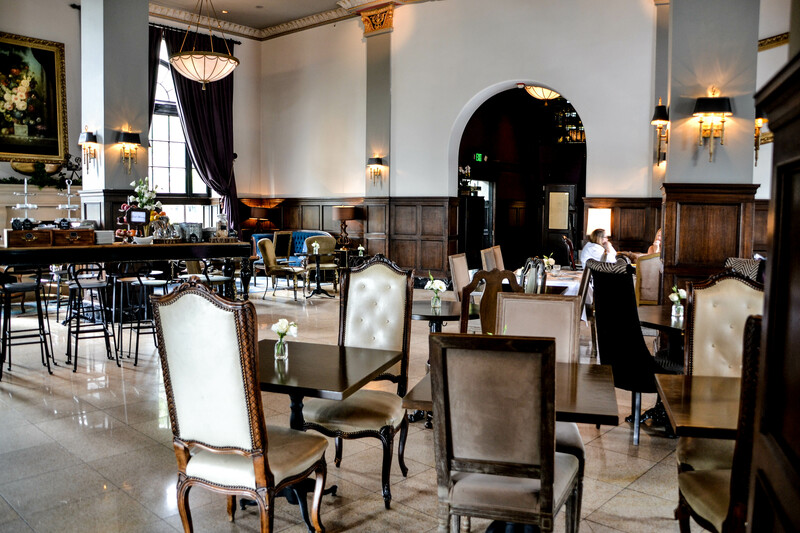 If you are in the Los Angeles area, plan to stop in Culver City and enjoy a meal in one of restaurants and check out the lobby of the Culver Hotel. And dream of days gone by in this heart of screenland. 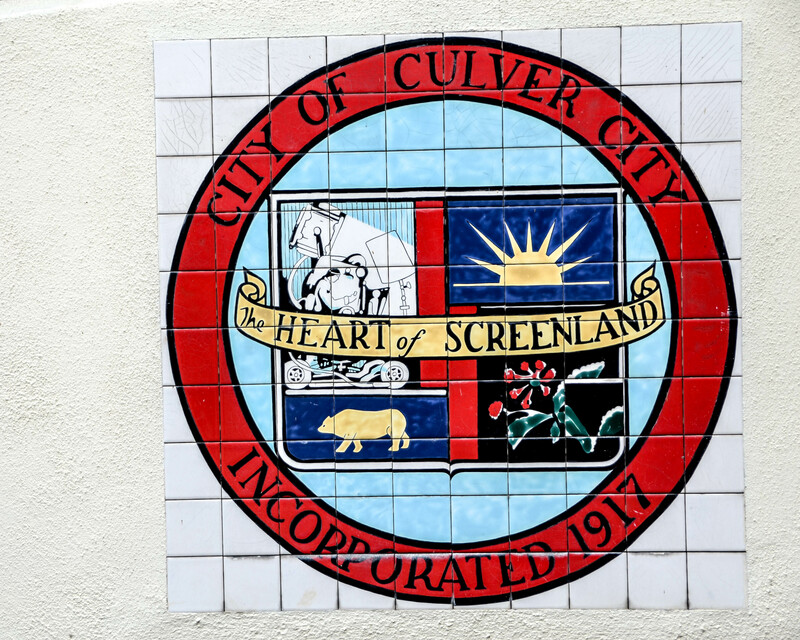 I think I’ve heard of Culver City, but had no idea of it’s history. 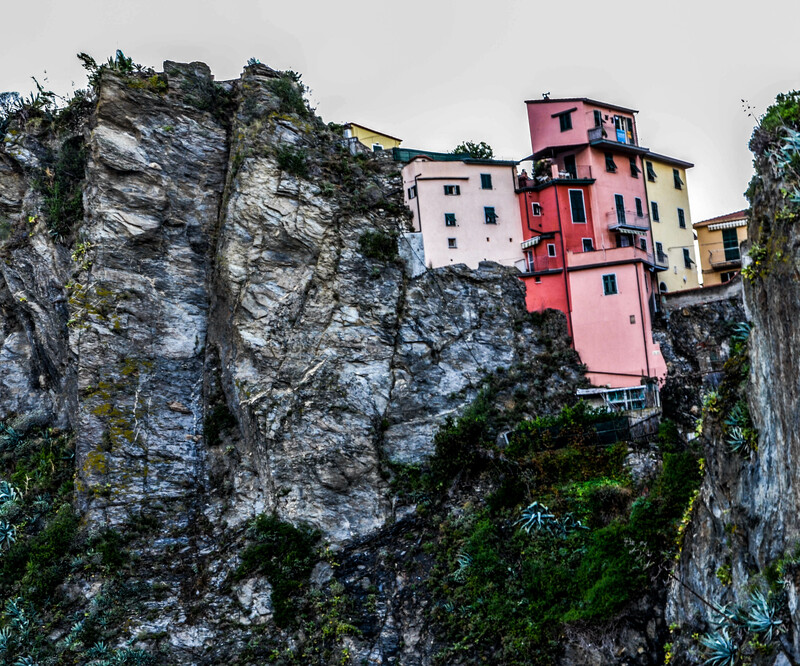 It is a pretty place, and doesn’t look crowded either – or maybe that was just the time or day of your visit. I remember hearing ‘Culver City’ in my younger days but had no idea that it was the beginning of the movie industry, The things I learn! It looks like a wonderful place to explore. 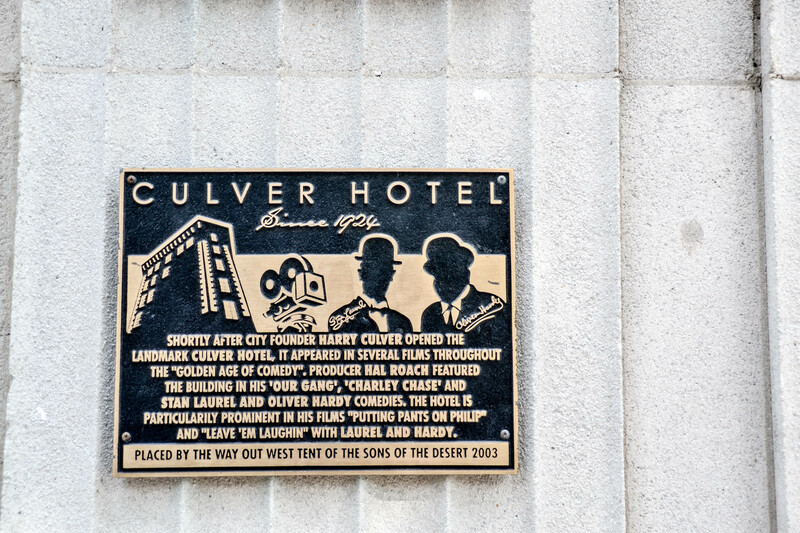 What a wonderful post, I had never heard of Culver City but is sure has a history of movies as I see all the pictures. 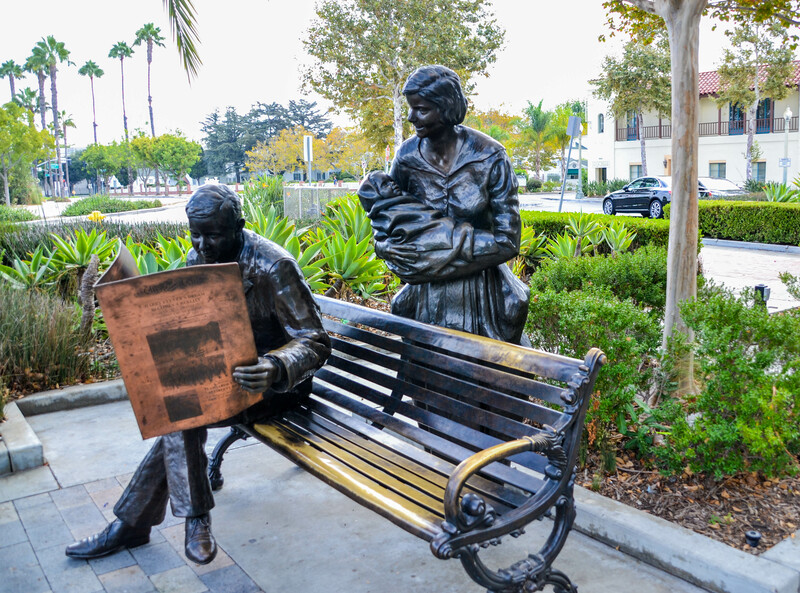 Those sculptures with the newspaper look so real, you can almost sit next to them and read the paper together! Beautiful! Love the Culver Hotel facade, the mural is so pretty and so are the statues. What a pretty town! interesting post with lot of nice photos. Nice informative post. I like it. 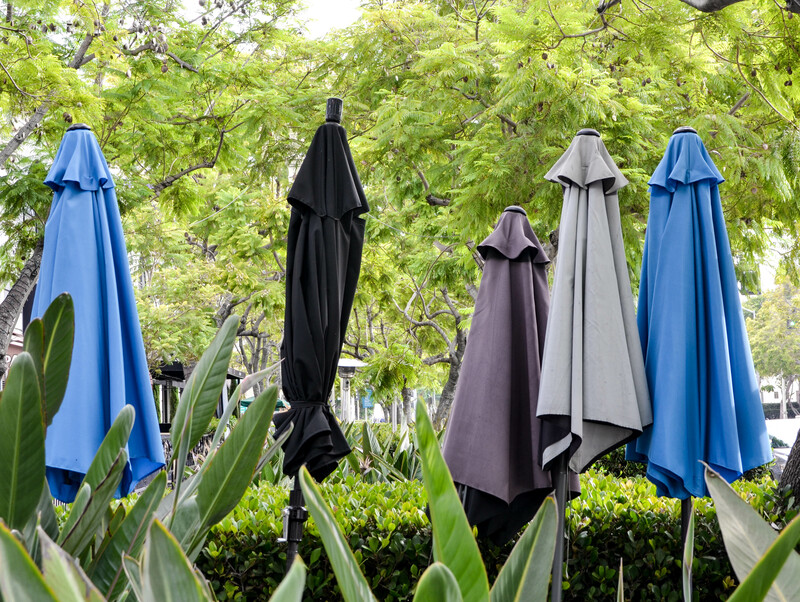 Your photos of Culver City make it look really lush and pleasant. 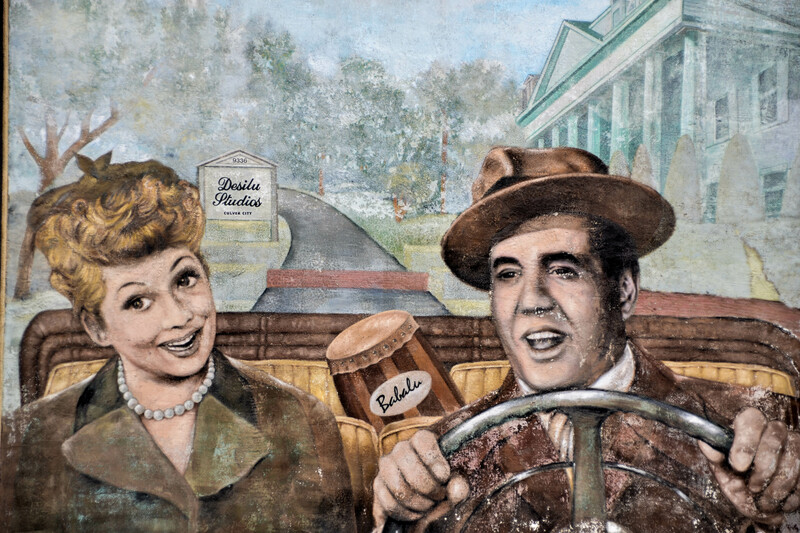 The mural of Lucy Ball and Ricky Ricardo is based on their road trip movie. Lucy looks great, but Ricky does not look quite like he did. Visiting as your neighbor at Random-osity today. 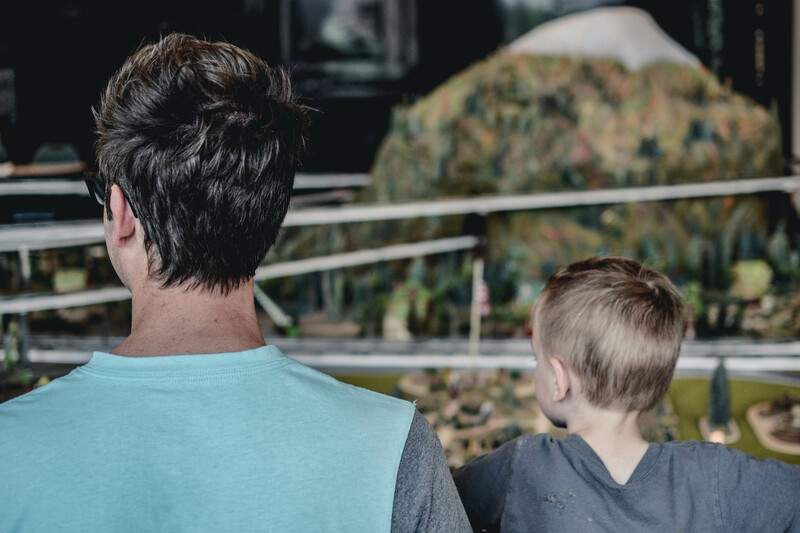 Have never been to Culver City on the several visits to CA from the Midwest, but reading this post makes me want to be sure to make that happen when we next vacation in CA. Thanks! What a fun place to visit. The hotel looks amazing!! What a fun place to visit! 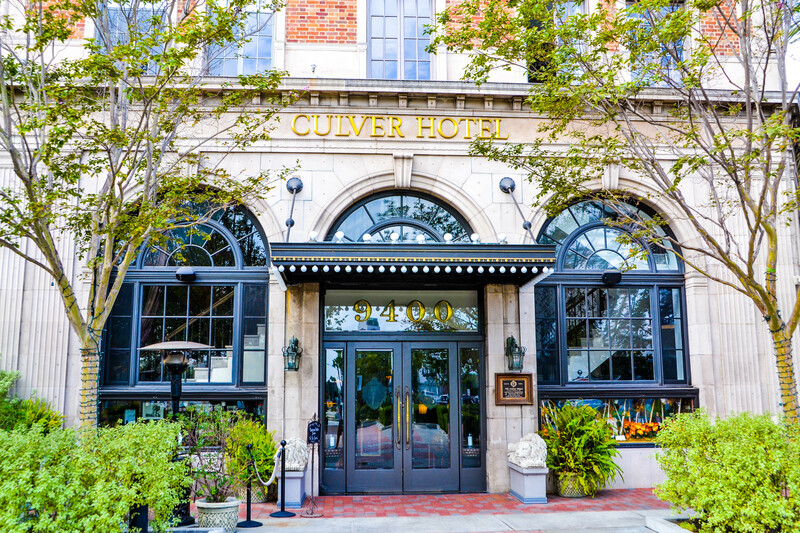 I would love to stay in the Culver Hotel. I’m putting this on my list for when we visit LA and area in March! Never heard before of Culver City. It seems to be a really fascinating town. By the was… Nice to meet your blog with Image-In-Ing. 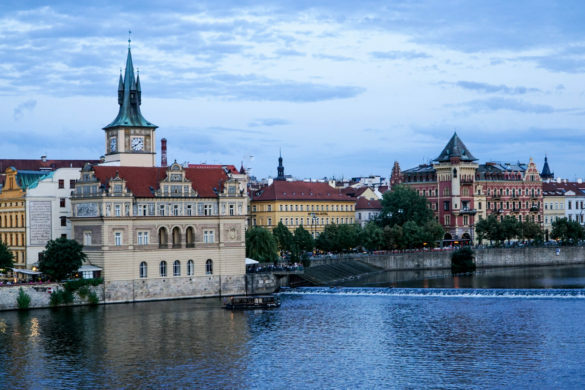 Wow, you’ve made me put this city on my list of destinations. 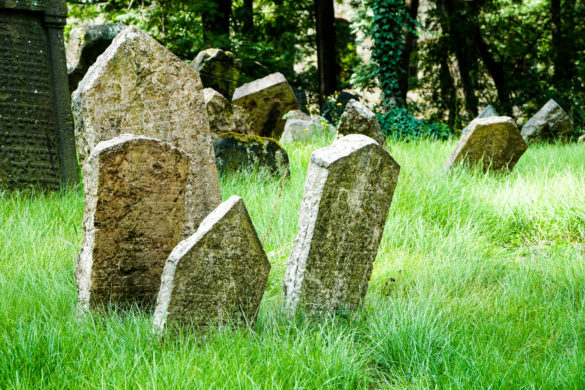 It looks so charming and a nice place for a quiet stroll amid the hustle and bustle of the LA area. …Sharon, thanks for the tour of the town! I really like the Lucy and Desi mural. 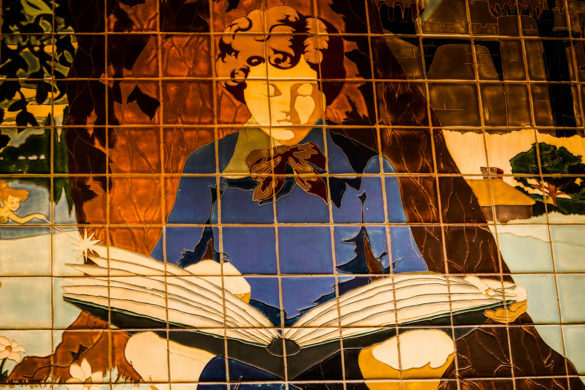 Lucy was born in nearby Jamestown, NY and the town is filled with Lucy! Great post! Makes me want to plan a trip. Love the Desi and Lucy mural! Just right for the biggest week for Hollywood. So much History here. 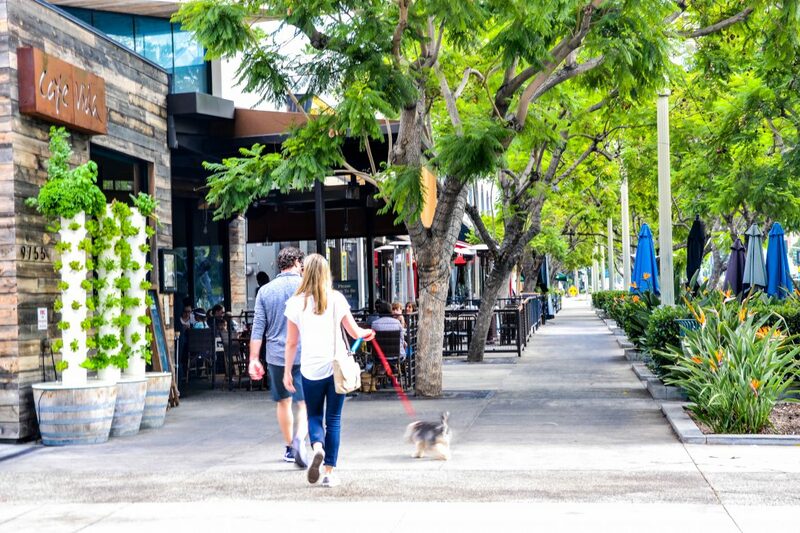 Culver City looks very charming, too. 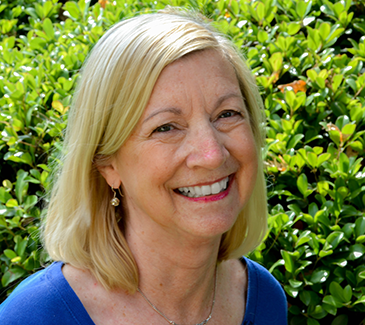 Thank you for showing us around Culver City, Sharon. Smiled at the first lines of your post. Have been in Culver city (not knowing it was used in movies) for something we needed, but it looks rather mundane:):) Definitely Southern Cal! There is more than one house I recognized in a movie in Pasadena where my art for audiences began. And Bass lake where we used to rent a cabin yearly, is in “The Great Outdoors.” I could go on, but when you have lived there for a few decades, it is not more than a nice place to live …because of the weather, nature and the plethora of stores:):) But for the movie buffs your post will definitely get ooohs and aaahs! (Not derogatorely meant though) Thank you much for sharing this noteworthy post with ALL SEASONS! Have an enjoyable week! 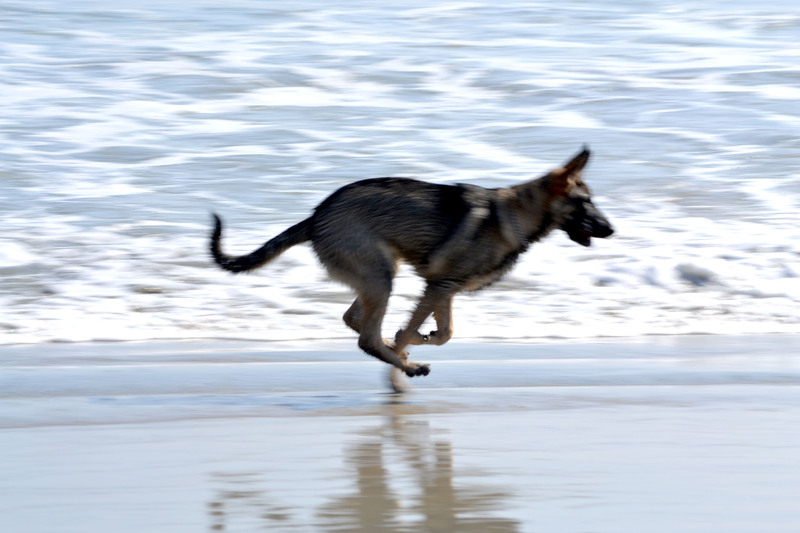 I am from NorCal and sadly have not ventured out to SoCal. Pity, because it looks like it’s not all crowds as evidenced by these images. Thanks for sharing. This looks like a fun trip. Kinda like the one Lucy and Desi are on. Isn’t it amazing how 50 year old reruns of I Love Lucy can still make you laugh? Thanks for contributing to this week’s Monday Mural. 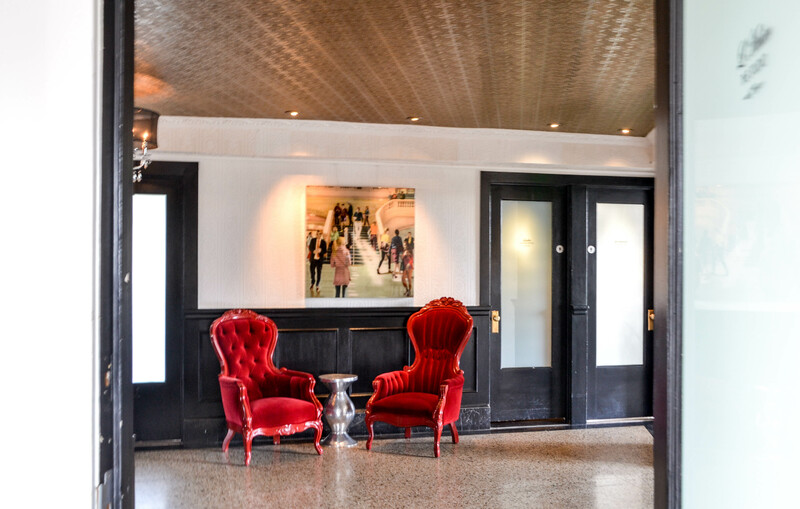 Besides the blue velvet couch, the red velvet chairs look lovely. 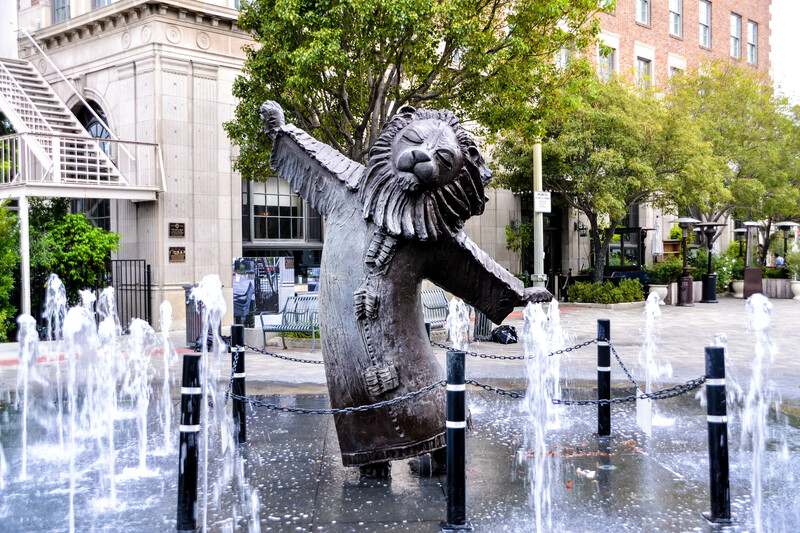 And the lion statue in the fountain gave me a chuckle. 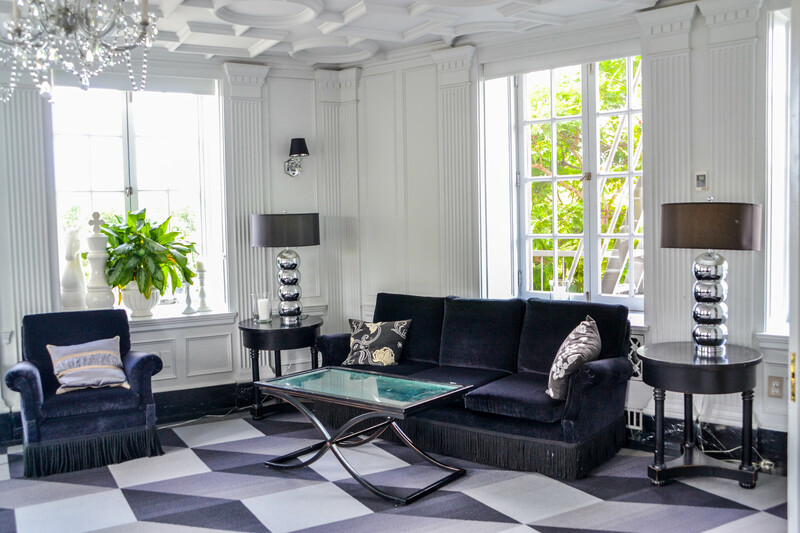 I LOVE, LOVE, LOVE that blue velvet sofa! 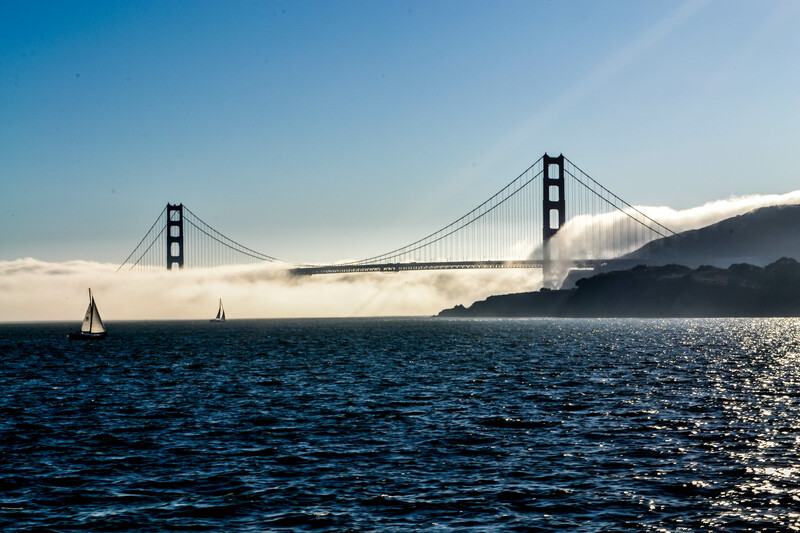 congratulations for your writing and beautiful photos…..